Michael Hammers and Swarovski proudly celebrate the 10th anniversary of the magnificent Swarovski Star topping the Rockefeller Center Christmas tree. 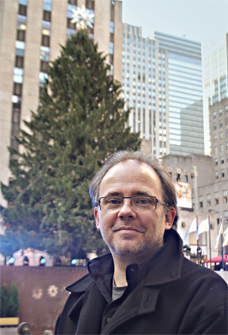 The Rockefeller Center Christmas Tree is the world-wide symbol of the holidays in New York City. This year, the Rockefeller Center Christmas Tree was lit for the first time on Wednesday, December 4, 2013. Tens of thousands crowded the sidewalks for the event and hundreds of millions watched it live across the globe. 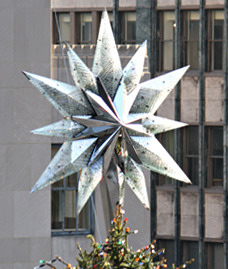 The Tree and the star remain lit and can be viewed until 11pm on January 7th, 2014. "For the past 10 years the craftsmanship of the Swarovski Star has exemplified our traditions of design, innovation and inspiration," says Wayne Page, senior vice president of Swarovski North America Limited's Consumer Goods Business. "It is an honor to celebrate a decade of being a part of the holiday season at Rockefeller Center." Swarovski offers a selection of holiday jewelry and ornaments for purchase at the Swarovski holiday kiosk at Rockefeller Center, at Swarovski boutiques worldwide and online at Swarovski.com. The collection includes stylish star-themed crystal jewelry and an Annual Edition Ornament inspired by the design of the Rockefeller Center Christmas tree Star. NBC once again heralded the arrival of the holidays with a dazzling display of musical talent and the lighting of the world's most famous Christmas tree during the 16th annual "Christmas in Rockefeller Center" telecast. The star-studded 81st annual tree lighting extravaganza featured musical guests including Mary J. Blige, Toni Braxton, Mariah Carey, Kelly Clarkson, Kenny "Babyface" Edmonds, Goo Goo Dolls, Ariana Grande and Jewel performing current hits and holiday classics from Rockefeller Center in New York City.